I’m in the process of moving house. No wait, that’s not correct: I’m in the process of desperately ramming all my belongings into boxes, before moving at the weekend. I have a backlog of blog pieces, Chinese curios and oddities to share with potential readers, but very little time. However, on a recent trip to a supermarket looking for some good tape for my boxes, I stumbled across some sticky tape, which made my heart leap. Yes, it’s a post exemplifying cutey inspirational Chinglish, however, there aren’t really any grammatical mistakes. You just wouldn’t really see this kind of thing back home: we’re far too sensible and we hate the rain. 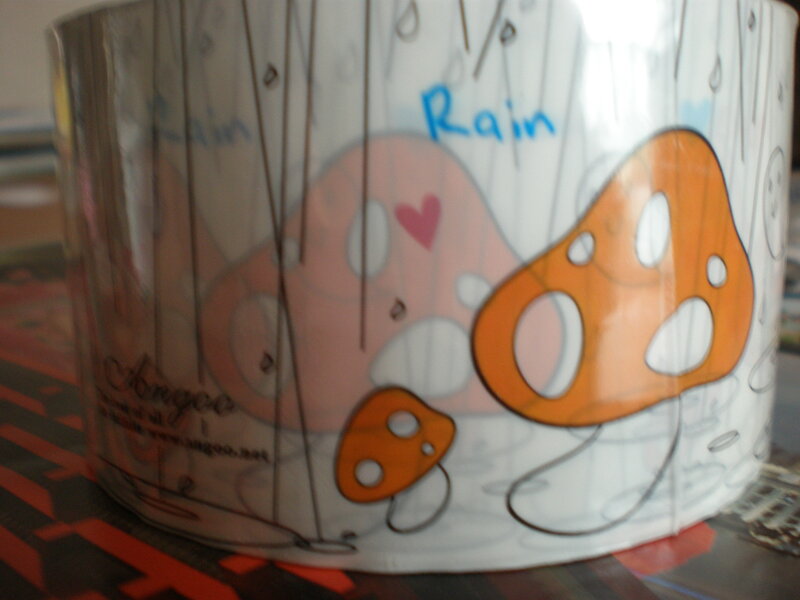 I love how the rain and the mushroom are happy. 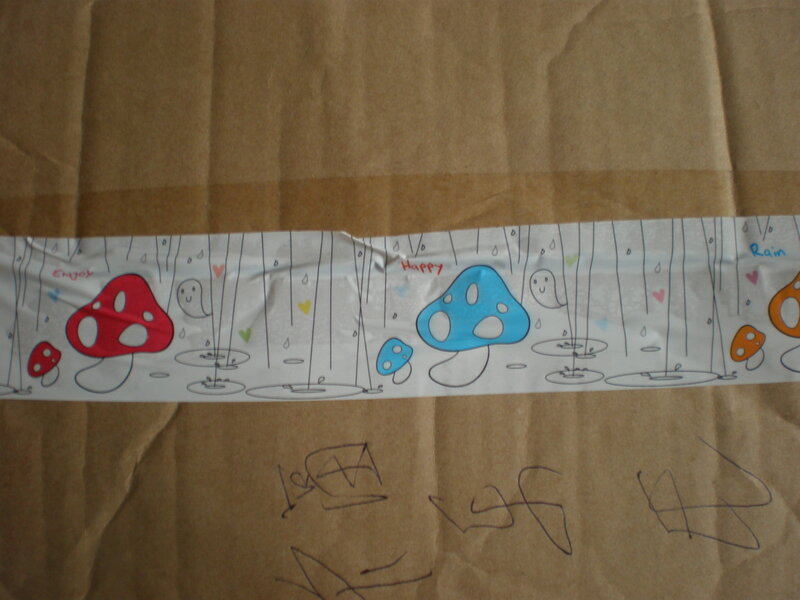 If we see the tape in full, the message is: Enjoy Happy Rain. 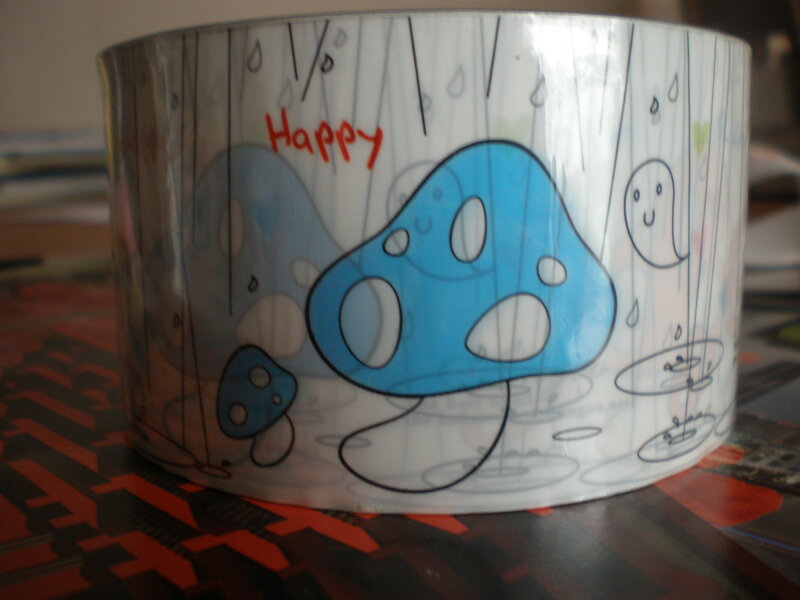 I’m like the mushroom – I enjoy happy rain. I do I do I do. Not English style drizzly rain, that ain’t happy rain. I like lively, tropical Asian rain showering down on a dusty city like Beijing or soft luscious mountains and hills like in Hong Kong. Gimme happy rain, a big cosy scarf and a cup of tea, and I feel serene. I connect less with this message. It’s either putting an unusual slant on the cause of global warming, or it’s advocating some kind of environmental chaos involving LOVE. Love is one of China’s favourite English words – FACT. I think anyone could release a song with the following words: love, my heart, my dreams, the stars, happy, with you and forever -possibly in that particular order and get to number one -regardless of the melody. Seriously. The manufacturers of the tape are called Angoo and are ‘the best of all the infinite’, as you can see from the picture below. Perhaps they meant to say, ‘the best of all the internet’? But that wouldn’t make much sense either, so who knows. 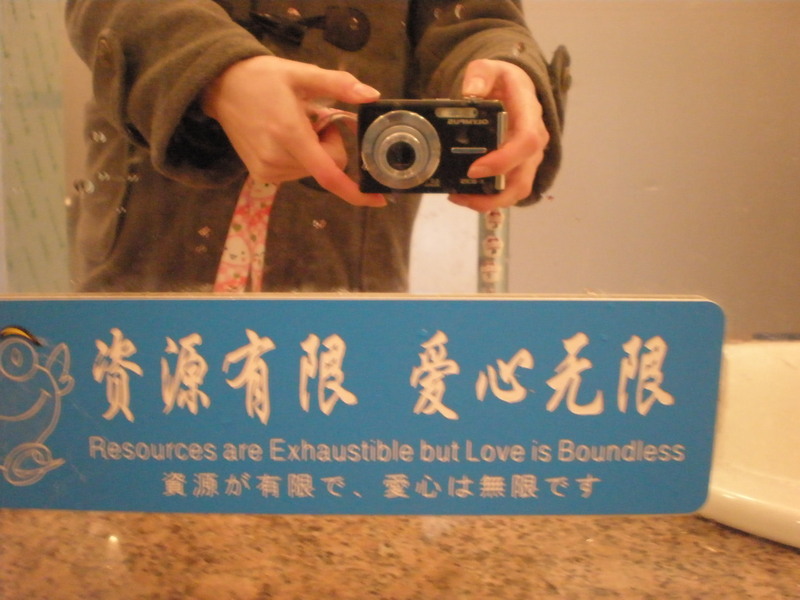 Captured in March 2009, in the mountainous region of Wuyi Shan, in a public toilet. It’s also further proof of the Chinese lurve for L.O.V.E word. 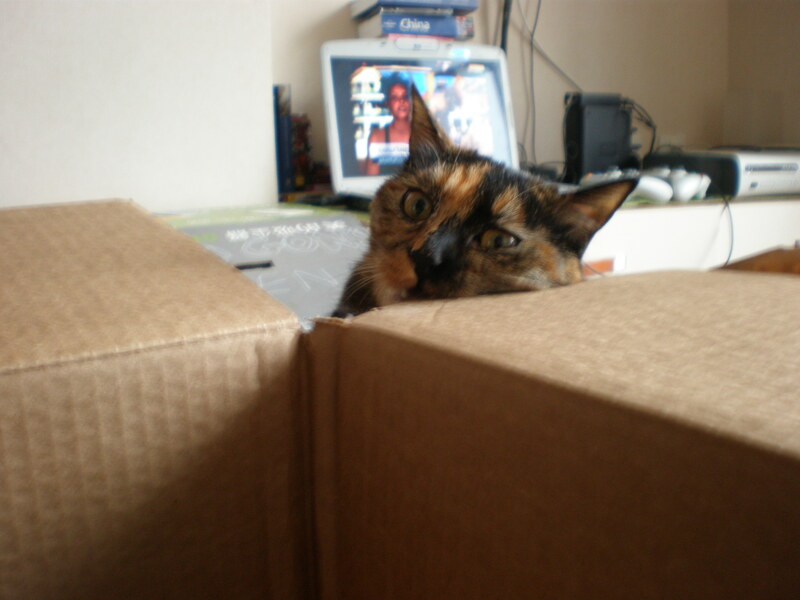 Anyway, I’ll finish up with a picture of my cat chewing on one of the packing boxes. Her name is Dragon Chestnut The Quadraped, or Dragon for short. Thanks for reading Chinarama, the best of all the infinite.